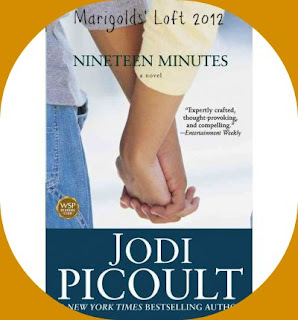 This was my first read of one of Jodi Picoults' books and I was pleasantly surprised. It was a gripping read and had me forcing my eyes to stay open at night, just to get a little further in the story. I enjoyed the fact that she touched a subject that is so very pertinent in this Day-and-age - Bullying - and that we should open to our eyes and realize that most of our society is being bullied in one way or another, whether it be at school, in the home or the workplace. It should not be tolerated - full-stop. I enjoyed this book so much that I have already gotten Book number two (that I have at home) of hers' on to my currently-reading Bookshelf and look forward to seeing how the next of her books (Salem Falls) turns out. I LOVE her books! I got hooked on them after reading "My Sisters Keeper" and would recommend them to anyone! I have "My Sisters Keeper" also on my E-reader, cool, I can't wait to read them all if they are as good as "Nineteen Minutes".